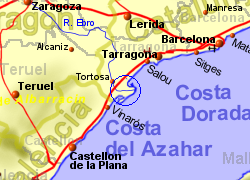 The Ebro Delta, situated at the southern end of the Costa Dorada is the largest wetland in Catalunya and is the second most important natural aquatic habitat in Spain after the Doñana National Park in western Andalucia. 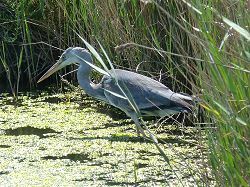 The delta is the second most important wetland in the western Mediterranean, after the Camargue in southern France. The area has been created by the deposit of sediment from the Ebro River combined with the effects of wind and sea erosion. Most was formed in between the 15th and 19th century with the river exit changing position several times during that period. The delta is currently being eroded and the deposition of silt from the Ebro is reducing as result of dam and reservoir construction higher up the river. While the sea level is slowly rising and the marshes sinking under their own weight, it is estimated that half the delta may disappear in the next 50 years. The delta has a variety of different ecosystems including lagoons, sand dunes, salt marsh and rice fields, the latter making the area important agriculturally. 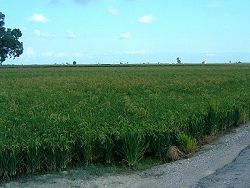 At its peak around 1965, nearly 17,000 Ha of the delta were under rice production, with the figure being around 15,000Ha today. 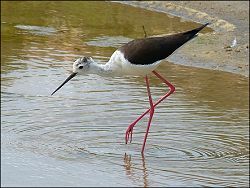 Birds make up the most striking feature of the fauna and flora of the Ebro Delta with flocks of flamingoes being one of the Park's main attractions along with a large number of other waterfowl. Access to the park is free though there are two where the public are excluded. 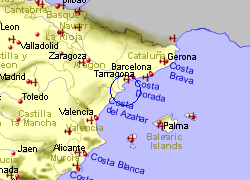 There are vistor centres at L'Ametlla de Mar and L'Ampolla and the park has good road access and a number of footpaths. There are a number of activities available in the area including bicycles, horse-riding, canoeing, boats, as well as nature workshops, photographic excursions. 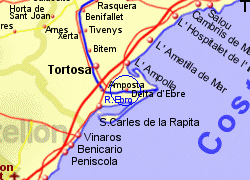 Map of the Ebro Delta Natural Park area.